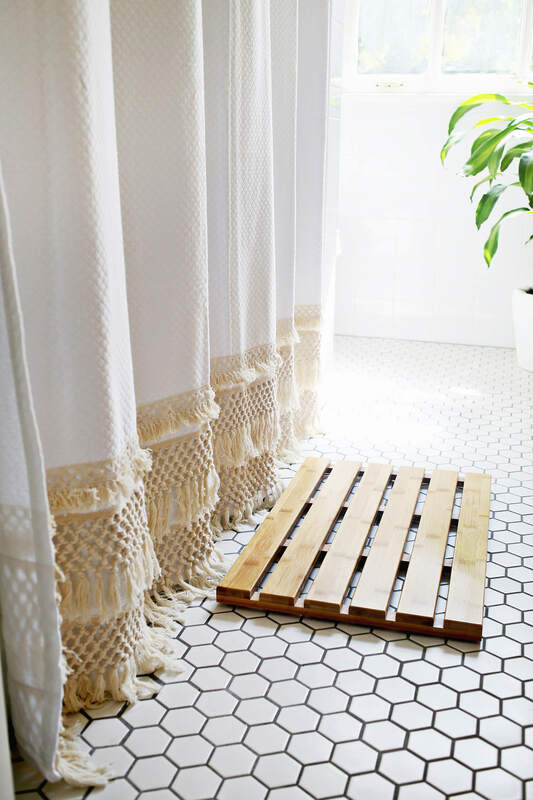 When it comes to bathrooms, every inch counts. 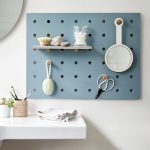 Space is at a premium, there’s never enough storage and function is usually more important than form. But with a little creativity, you can have the best of both worlds—a beautiful bathroom that is also beautifully organized. 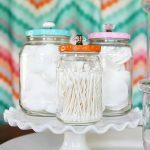 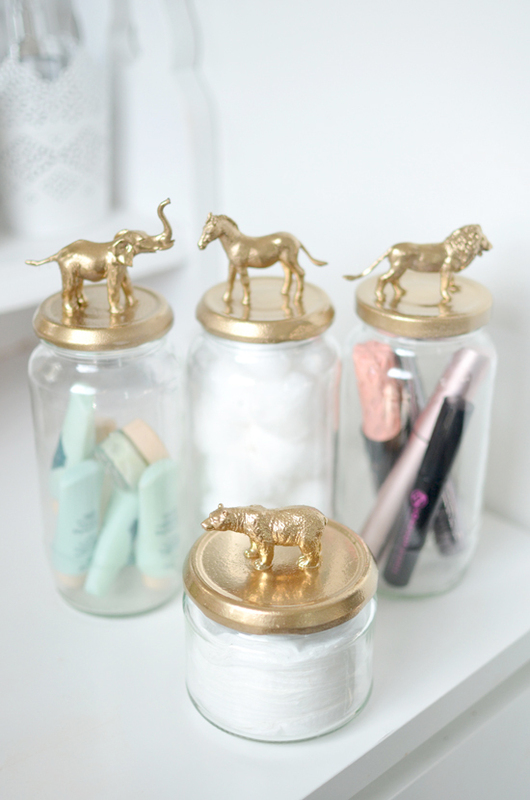 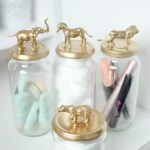 We love upcycling, so we love the idea of transforming old jars into pretty bathroom storage containers. 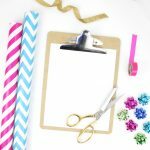 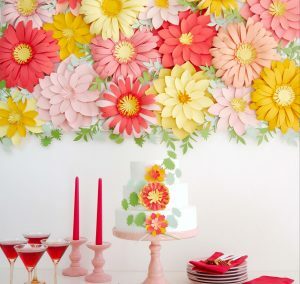 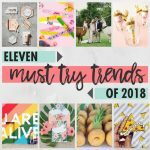 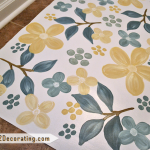 A little spray paint and a fun topper is all it takes to make a unique décor item. 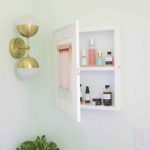 If counter space is limited, mount containers on the wall for easy access. 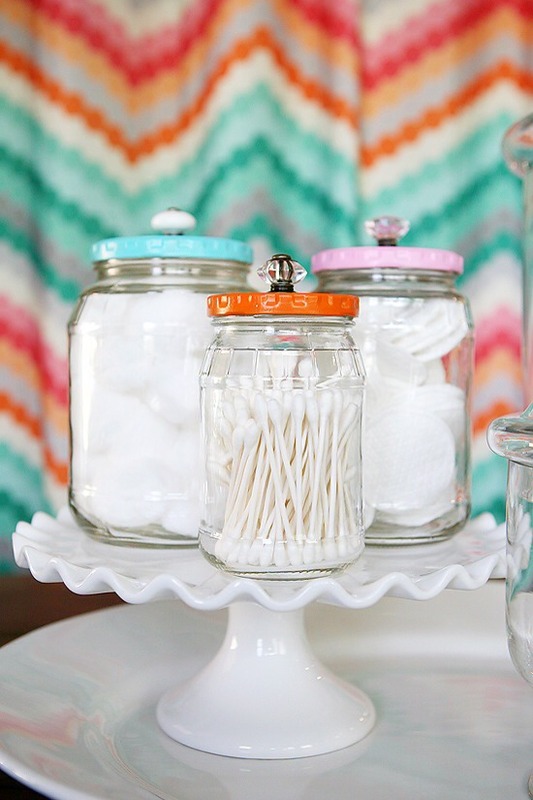 Don’t forget look for other types of containers you can repurpose into fun storage, too! 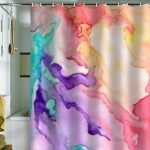 Nothing in the bathroom has a bigger visual impact than the shower curtain. 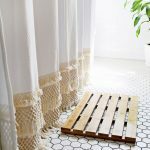 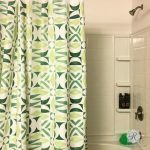 A subtle addition like macrame trim can make a plain shower curtain really stand out, or go all out with custom stencils and your favorite colors for a design that is uniquely you. 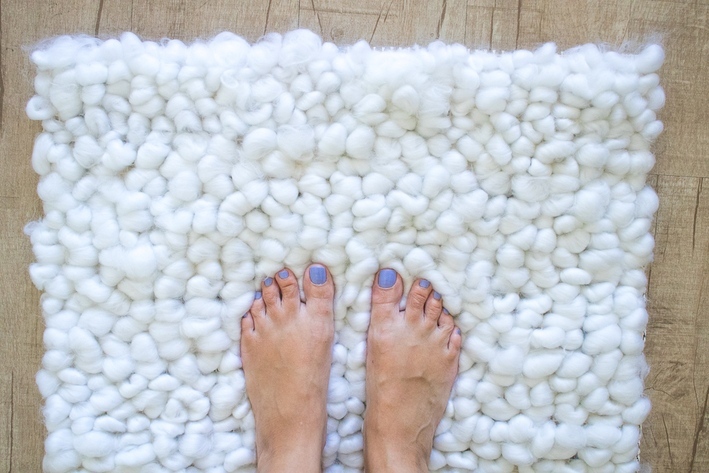 A great rug can make all the difference in a bathroom, no matter how big or small. 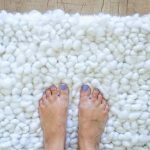 But skip the bed-and-bath aisle at the department store in favor of your own DIY creation made with paint or your favorite fuzzy fibers. 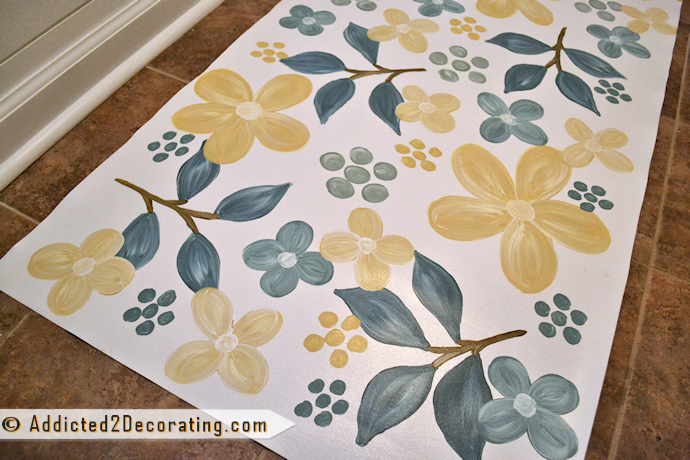 Tip: If freehand painting is too intimidating, try making some stencils with your favorite dies! 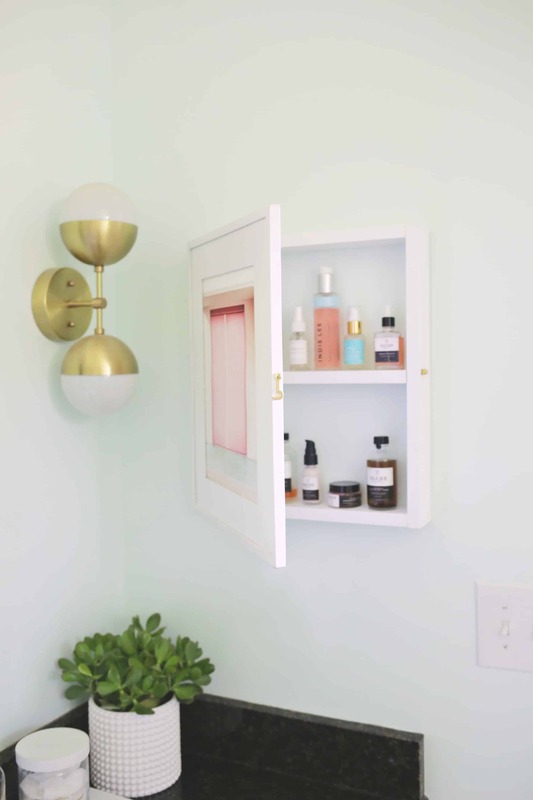 If you’re handy with tools, you might want to try a project that requires a bit of carpentry, like an extra cabinet hidden away behind a pretty picture or mirror. 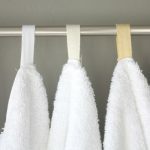 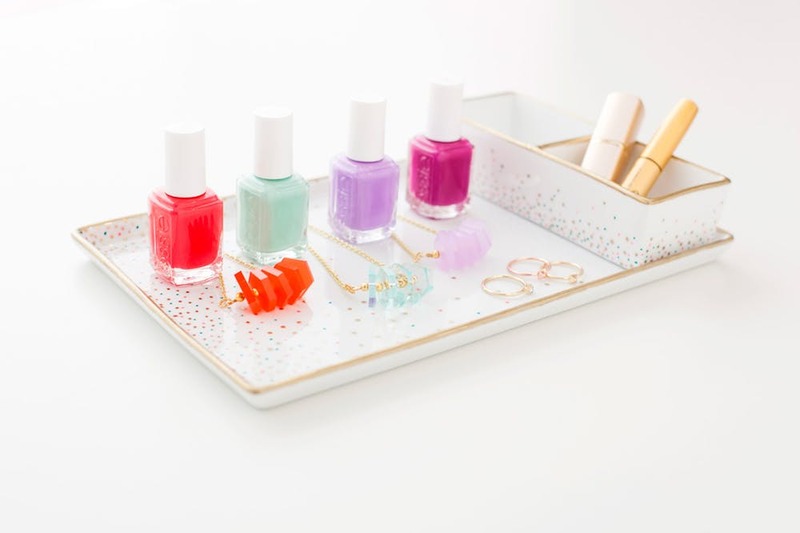 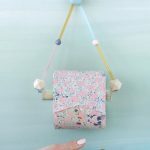 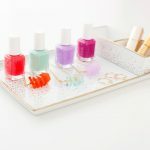 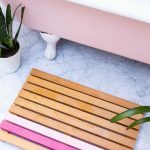 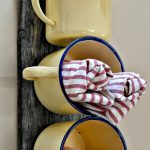 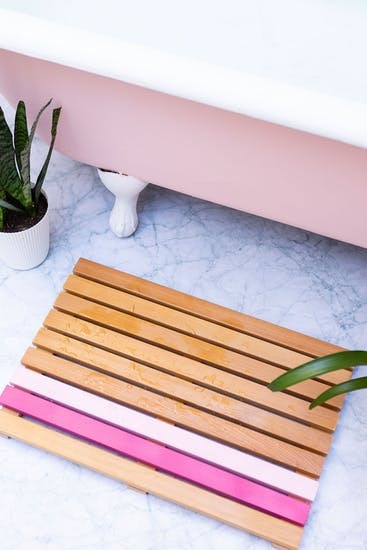 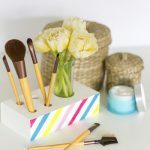 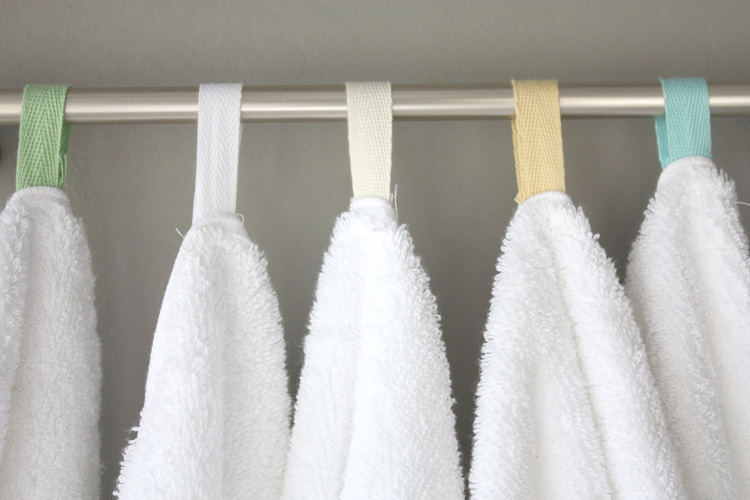 Making bathroom accessories from scratch will provide you with a great deal of satisfaction, especially since it’s so easy to give it your own personal dose of style! 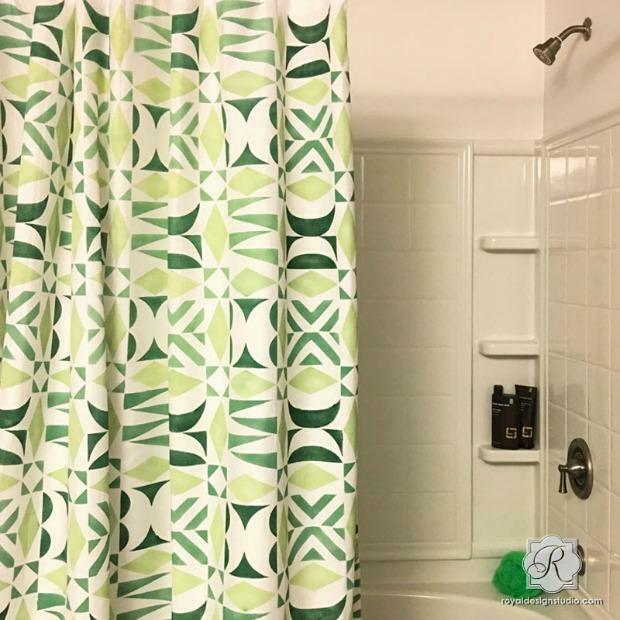 In a small room like a bathroom, little details can make a big difference. 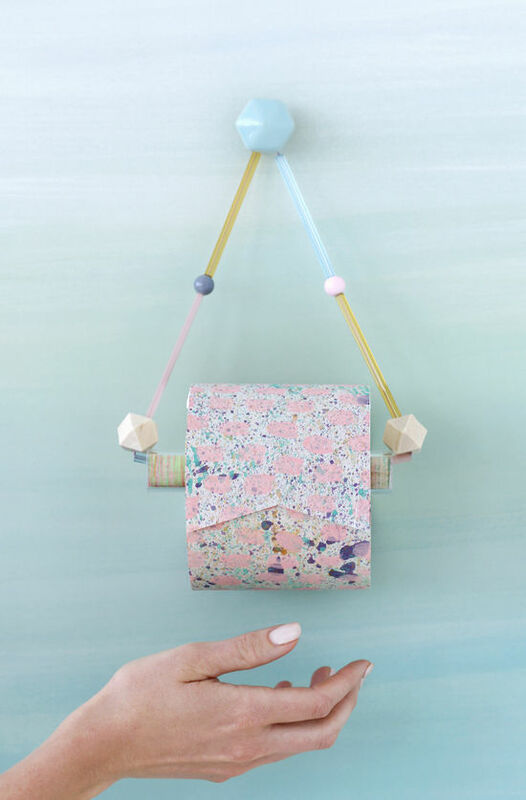 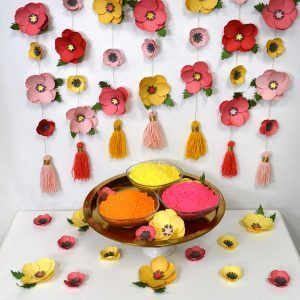 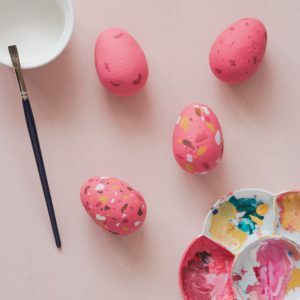 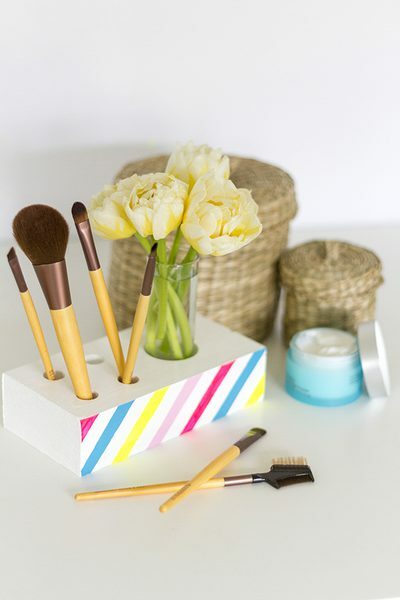 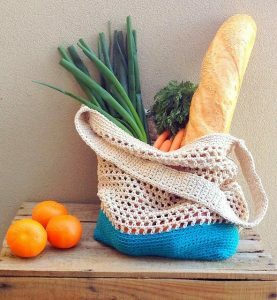 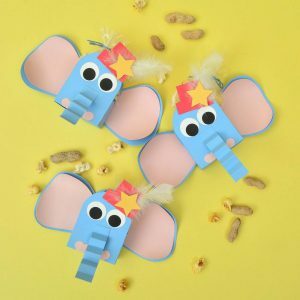 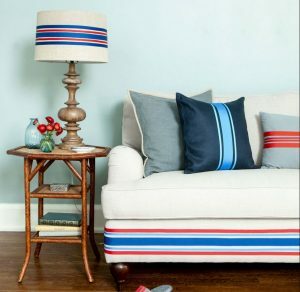 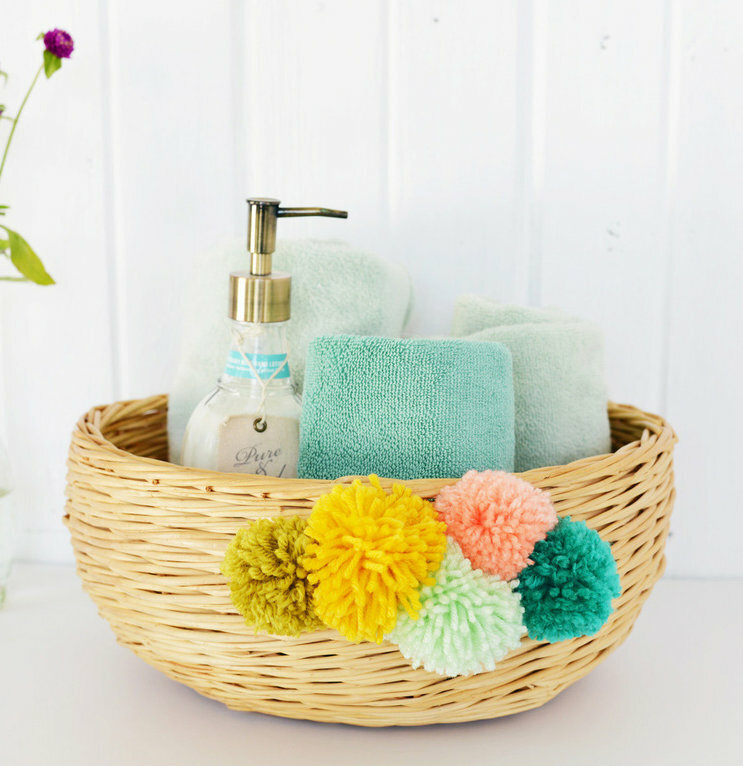 We love how things like a custom toilet roll holder, color-coded towel tabs or a few pom-poms added to a store-bought basket can really let your creative personality shine through.